Shaunté Gates The Land Of, 2018 24 x 24 in.Digital Print on Aluminum Image courtesy of the artist. In its sixth edition, Prizm examines the connection between narratives in Africa and its diaspora through varying degrees of currency. "I hope Oprah comes," says Mikhaile Solomon, founding director of Prizm Art Fair, with a laugh. Prizm has become one of the most anticipated events during Art Basel Miami, highlighting artists and works from the African diaspora and emerging markets. "Every year, it grows in leaps and bounds," Solomon says, as the fair turns six this year. 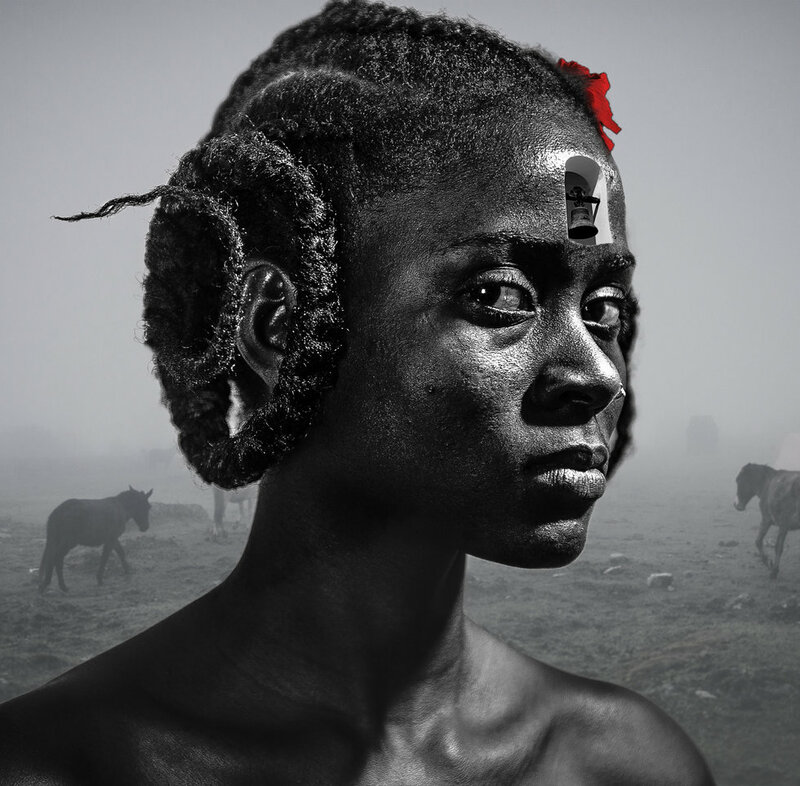 This edition will highlight 63 artists representing 15 countries—from Ethiopia to Trinidad and Tobago. The fair is set to feature eight galleries—most of which are black owned—along with five multi-disciplinary parts: "Prizm Preview," "Prizm Panel," "Prizm Film," "Prizm Perform" and "Prizm 6." "This year, is very rooted in activism and the through line is the idea of currency and the different layers of currency," she says. The works will explore spiritual, social, cultural, political currency through the special sections curated by Solomon and artist William Cordova. Cordova's exhibit, Transceivers: channels, outlets, and forces will explore the connections between futurism, ritual and the folkloric. Solomon's The Dark Horse will focus on re-appropriation, reclamation and creating an inclusive future. The fair has curated a diverse group of conversations about using art, media and tech to discuss the implications of redlining, art preservation in communities and the meaning of art. Solomon says it's especially critical that Prizm integrates these themes, considering both the national and international socio-political climate. "I constantly think about the kind of world we are potentially bringing our kids into, it's a lot to process," she says. "Artists have a very profound way of visually and viscerally addressing these issues. They create visual ironies that people can not ignore." Below, we've picked the 5 must-sees you can't miss at Prizm this year. Check out the full program here. Directed and written by Sephora Woldu, Life is Fare is a Tigrinya and English feature film that highlights three different perspectives of Eritrea. It's Woldu's first feature length film that was 4 years in the making. Woldu told the Brooklyn Film Festival: "As a first generation Eritrean American, I am fascinated by the experiences of a growing Eritrean population worldwide—those living inside and outside of Eritrea—and the disconnect that naturally forms from our distance with each other. Culture adapts with the movements and locations of its people, and Life is Fare is my cultural response to the absurdity of wondering if preserving what it means to be Eritrean clashes with actual realities of Eritrean people." 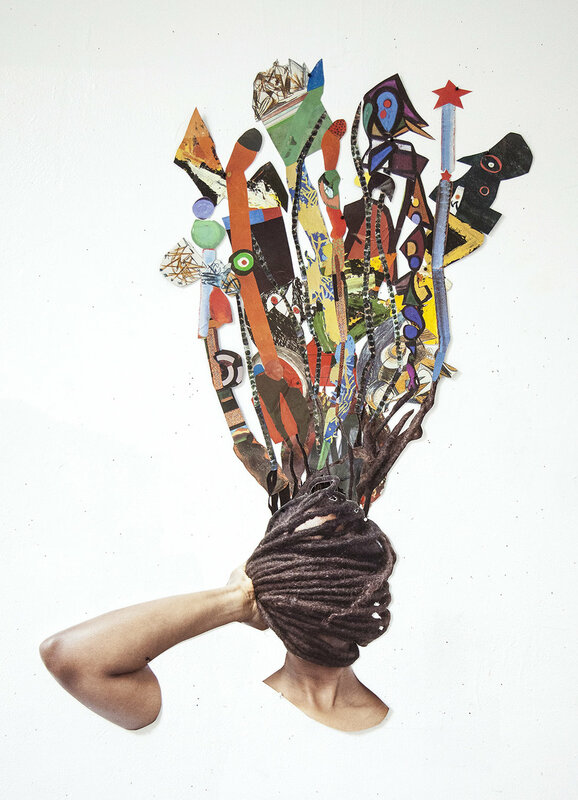 Alexis Peskine is a visual artist who was born and raised in Paris. He is of Afro-Brazilian and Jewish-Russian descent and explores these identities in his work. He creates these intricate portraits with nails as his medium. Peskine has said that "the nails presents the suffering of our people but also their resistance and resilience." Image via the artist's Instagram. Helina Metaferia's work is interdisciplinary. It ranges from performance, video, collage and installation. The Ethiopian-American artist said she is "interested in using art as an excuse to have meaningful conversations about time, space and belonging." Out of the roots of my head, 2018 Collaged paper 37 x 25 in. Image courtesy of PRIZM Art Fair. Shaunté Gates is a painter and mixed media artist, from Washington, D.C. He describes his work as a collision between fantasy and reality. In order to make these two themes harmonize, Gates marries painting and photography "through a fantastic lens," he stated. The aim is to capture an allegory of psychological effects on society due to the implementation of propaganda via mass media, economic, and political structures." Shaunté Gates The Land Of, 2018 24 x 24 in.Digital Print on Aluminum. Image courtesy of the artist. 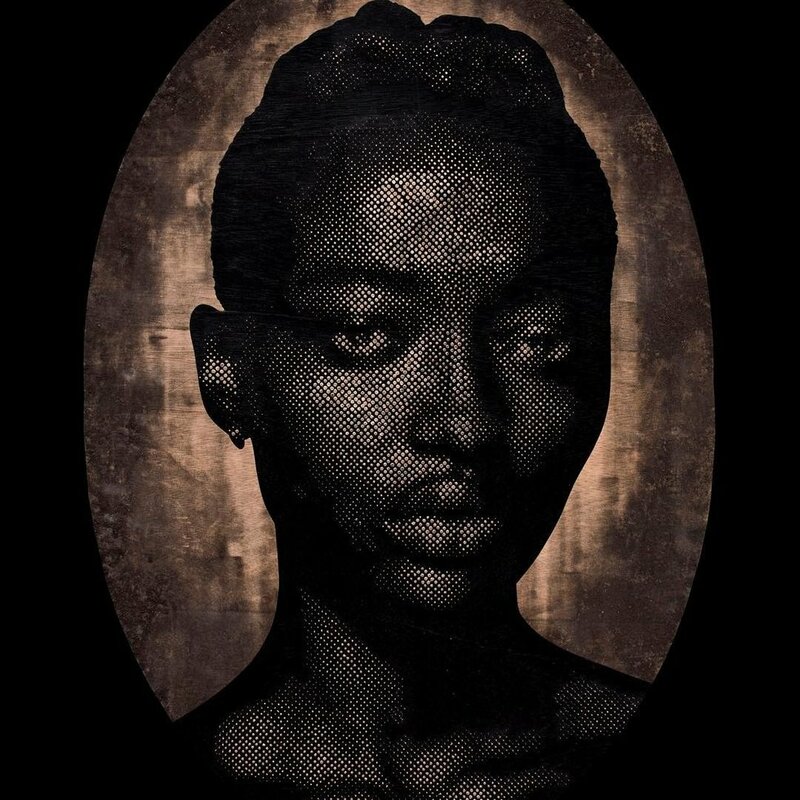 Lillian Blades is a Bahamian mixed media artist, currently based in Atlanta, Georgia. She creates large-scale assemblages that can transport you to a sandy Caribbean beach, a vast ocean or the inside of a seamstress' studio. 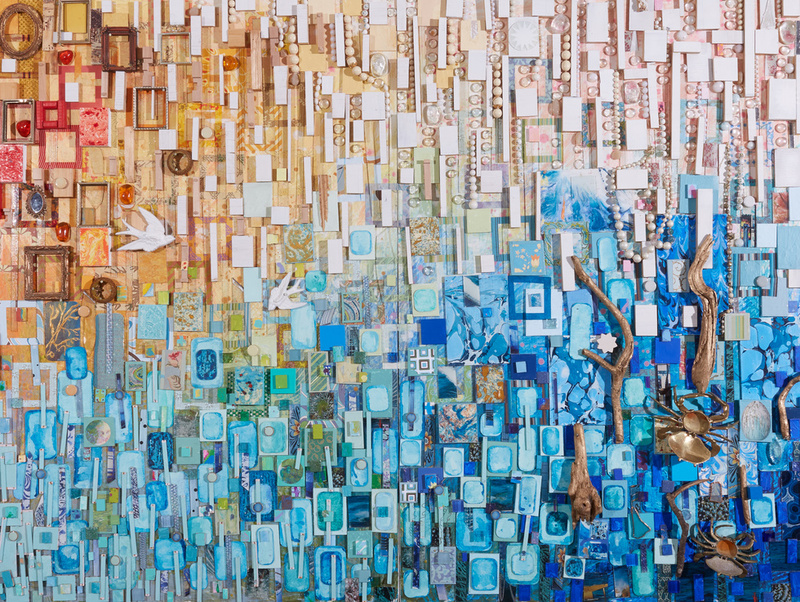 Lillian Blades, Abundancescape, 48 x 32 in.Mixed media assemblage. Image courtesy of September Gray Gallery PRIZM Art Fair. Prizm Art Fair runs from Monday, December 3 to Sunday, December 9 at the Alfred I. Dupont Building in downtown Miami. Check out their website for more information.